1985 362, 3406B factory set @ 300 but set to approx 400 when inframed(1999). 14609 9speed. 3.42 sq100 rears on pete air leaf. 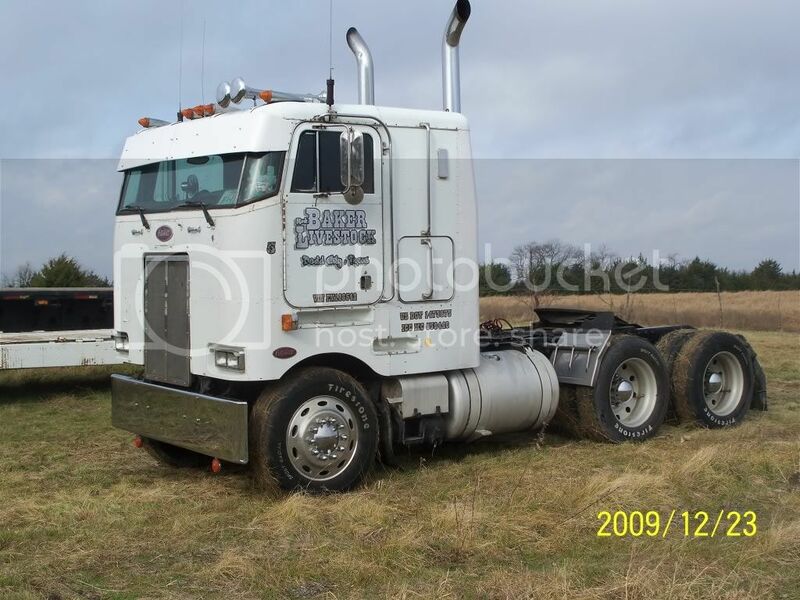 Big visor & bumper, 6" straights, dual 100 gal tanks, 24.5 lp"s on aluminum wheels. Truck runs & drives great has been working. Not a show truck but very clean and straight. Real head turner. $8500. More info call Mark @903 -271-4286. Will try to add pictures later, or can send if interested. That is a sweet truck, makes me wish money wasn't tight on my end, and i thank the visor is nice, especialy when drivin into the sunset.